On Monday I attended the St. Bernard School’s 60th anniversary and participated in the ribbon cutting for the Montville school’s recent renovations. As a graduate of St. Bernard, it’s great to see the school making improvements that will benefit students for many years to come! 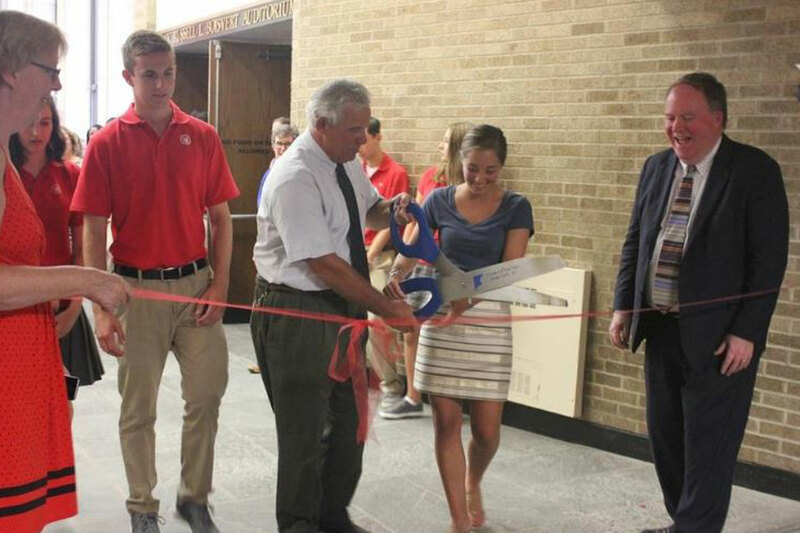 The updates include two renovated hallways and a new chemistry lab that will also serve as a classroom. St. Bernard first opened in 1956. Much has changed since then, but with its new renovations the school is looking forward to the future. My colleague Sen. Cathy Osten and I cut the ceremonial ribbon with some help from teacher Jim Leone and his daughter Marie Londregan, who is also a St. Bernard teacher. To read more about the event, check out this great article from The Day.